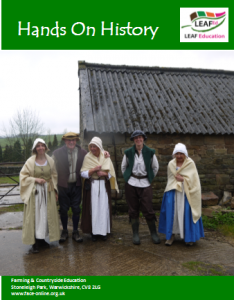 Teachers and farmers explore how to incorporate history into activities both on the farm and in the classroom. 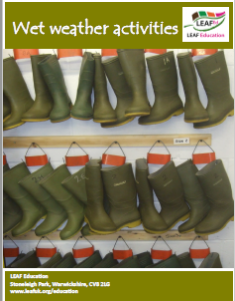 A series of lively and fun games and simulations to help pupils learn about food, farming and the countryside. 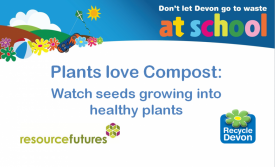 See real seeds, and children pretending to be seeds, planted in compost grow into healthy plants. 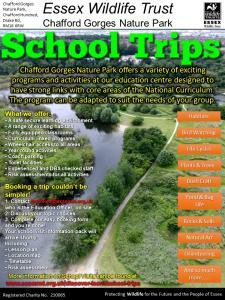 Chafford Gorges Nature Park offers a variety of exciting programs and activities at our education centre. 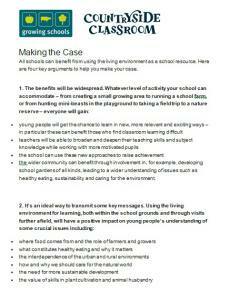 This publication outlines the findings of the Learning Away programme and summarises the evidence of their impact on young people and schools. 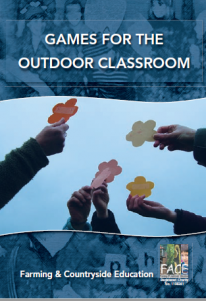 This booklet provides school staff with an introduction to the value and impact of well-planned regular outdoor learning. 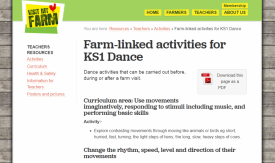 Revised to match the current (2016)curriculum, ideas to use with KS1 Dance linked to food and farming. 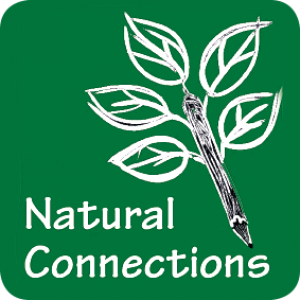 Report from Natural Connections, a demonstration project developed in response to research into barriers & benefits of outdoor learning in schools. 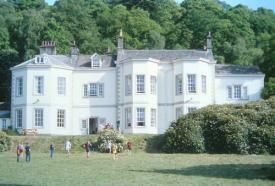 Visit National Trust places for free with your learning group. 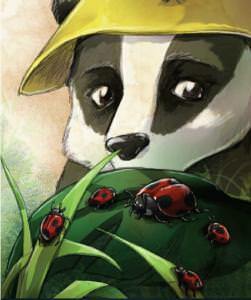 Literacy ideas for using the story 'Boris the Lost Badger' with KS1 children. Enjoy the story outdoors and use these ideas to develop skills. 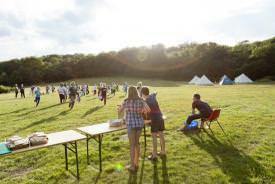 All schools can benefit from using the living environment as a school resource. Here are four key arguments to help you make your case. 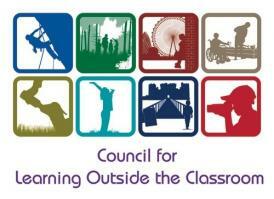 An increasing body of research supports the value of learning in the living environment. 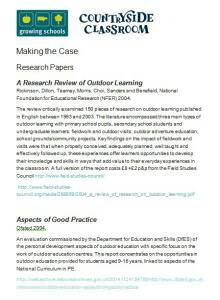 Here are a number of key papers if you want to delve deeper.